Ladies and gentlemen, the countdown to whale watching season here in Cabo San Lucas, Mexico, is on and things seem to be heating up around the southern Baja peninsula. Our staff has been receiving reports of whales migrating past Magdalena Bay, whales breaching on the offshore fishing grounds, and whales already pectoral slapping in front of Whale’s Head. This season should surpass our expectations with high levels of activity in both the humpback and gray whale populations. 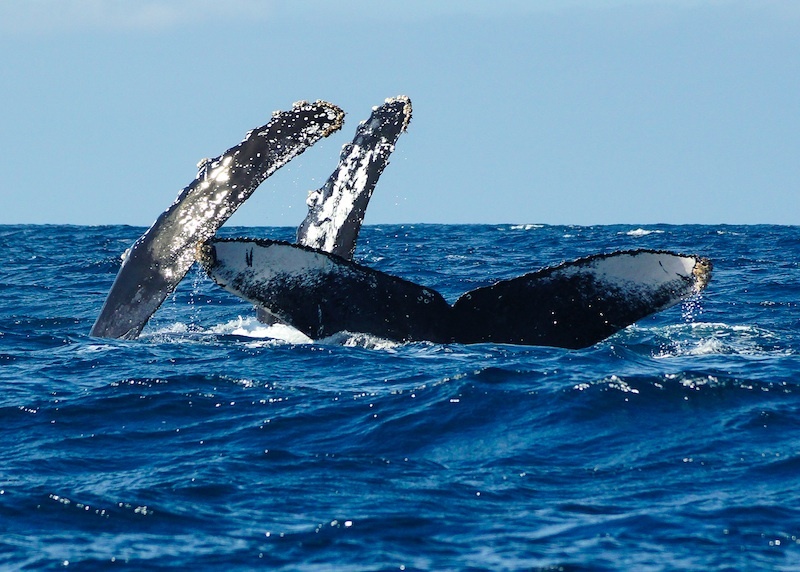 Humpback whales are known for their unusually long pectoral fins, in comparison with other great whales, and can be seen hurling these massive pectoral fins through the air until reaching an abrupt stop upon impacting the water’s surface. This “pectoral slap” as it’s called can be seen in both young and adults, but is most likely used to attract a mat during courtship. Although it is most often seen with one fin at a time, this behavior can also be seen while a whale is on its back, slapping the water with both fins. A pectoral slap may also be used when feeding, to stun small schools of fish at the surface. Along with breaches and peduncle throws, pectoral slapping is one of whale watcher’s most popular surface behaviors to observe in Cabo San Lucas. It is inspiring to see the whales’ twelve-foot-long fin crashing down onto the water with an audible crack. Pectoral slapping is also believed to be another form of non-verbal communication in whales, just like breaching. We can’t wait to get out on the water this year to witness the majesty of these giants right here in our backyard. We hope that you can come join us for some educational whale watching here in Cabo San Lucas! Check availability on our tours now!